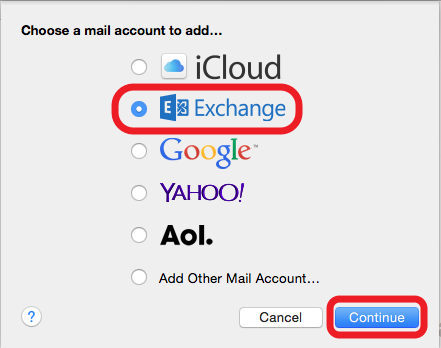 How to access my O365 account from Apple Mail? Type your Name, Email Address (i.e. 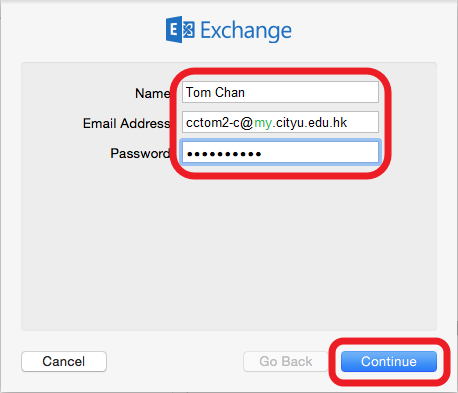 YourEID-c@my.cityu.edu.hk) and Password. Click Continue. 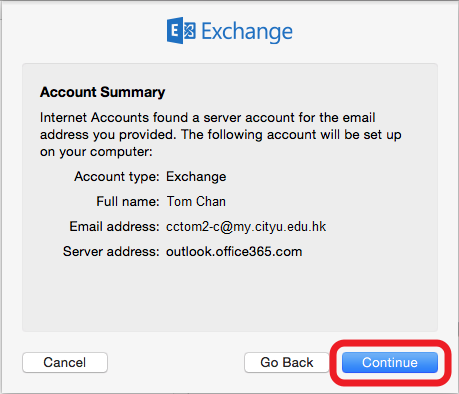 Apple Mail will try to access O365 server by your account. If the information provided is correct, this account will be set up successfully. Click Continue. 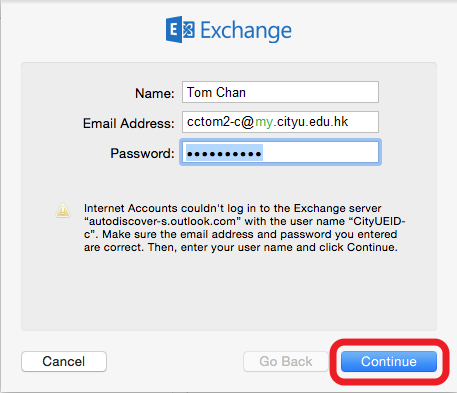 When Account Settings appears, type YourEID-c@ad.cityu.edu.hk (e.g. 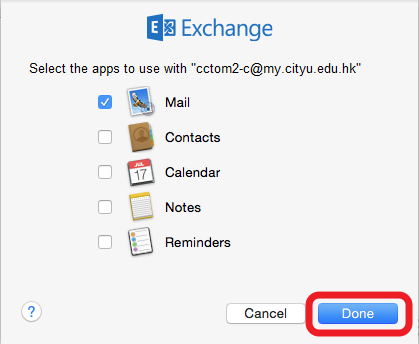 cctom2-c@ad.cityu.edu.hk) to the text box User Name (it is @ad.cityu.edu.hk instead of @my.cityu.edu.hk). 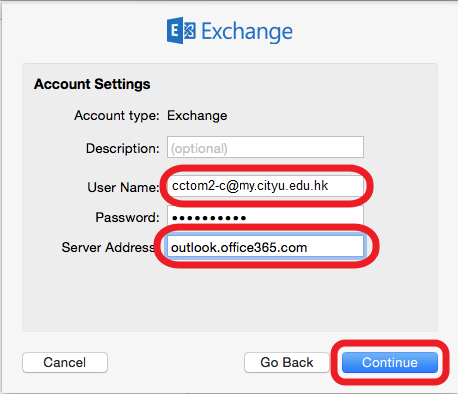 Type outlook.office365.com to the text box Server Address. Click Continue. If the information provided is correct, this account will be set up successfully. Click Continue.. Select the apps to use with this account. Click Done. 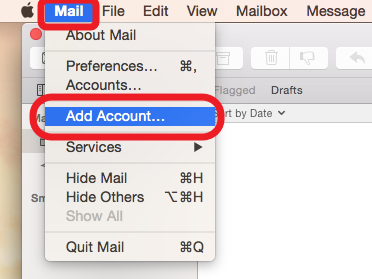 Now you can send and receive emails by Apple Mail.